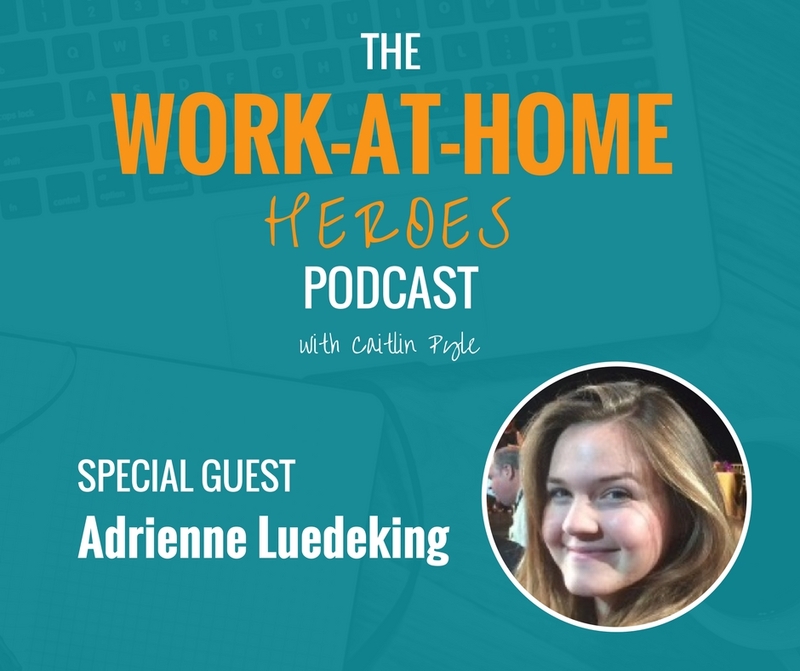 After seeing friends working in the entertainment industry limited and needing to survive waiting tables to support their passions, Adrienne Luedeking launched a business proofreading for court reporters to support herself. She discovered a passion for entrepreneurship and started another business: Fruitfully Alive, a blog that helps millennials create their dream life. Read the transcript of The Work-at-Home Heroes podcast Episode 2 here. In this episode Caitlin mentions Proofread Anywhere this is the course Adrienne took that started her new career, click the link to find out more about it! In this episode Caitlin mentions 20 Mile March, click the link to check it! Luedeking would like to offer a freebie to help point you in the right direction! Go to this link to check it out! Got a question for Adrienne about this episode? Head over to the Work-At-Home Heroes Facebook page and ask on this dedicated thread! Love us? Review us on iTunes or Stitcher and please subscribe! Caitlin reads each and every review, and this small action really helps us out! Hi Caitlin, I’m listening to your podcast with Adrienne Luetking. I’ve been wanting to do some kind of online working but didn’t know where to go for information on what and how. Do I understand correctly that you offer the online courses? What are all the offerings? I have a full-time job but need to make more money and I don’t want to get a part-time job at the mall. My goal is to do online work and keep doing it into retirement. Thanks. Adrienne you are really an inspiration, and your ability to communicate what, why and how you changed your life. I am thankful that I had the opportunity to hear directly from you the story that brought you to Caitlin, and independence. Your website is amazing, and I really enjoyed your insight. I attended the Work at home seminar, and have all of a sudden became paralyzed. Listening to Caitlin and her teaching staff, was inspirational, and knowing others made it, gave me false bravado. I think this will make me go back to Caitlin for my inspiration, and you certainly are inspiring. I have been wanting to find a work from home opportunity but didn't know what to do to get started.Maybe this will be what i've been praying for.